CTYA’s Blog has started a new Feature on Fridays, Thulirkal. Thulirkal meaning bud reflects the young Tamil youth we will be featuring. These youth are the buds of our community, and are growing into strong, achieving young men and women! 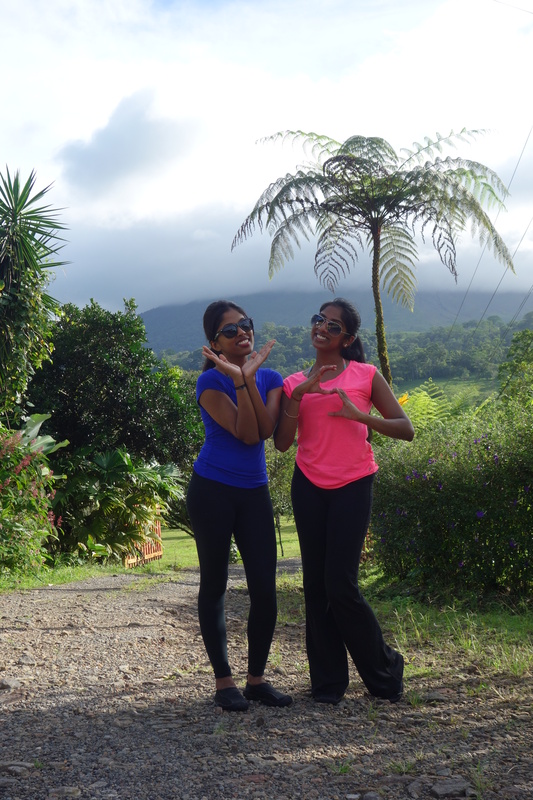 This week, we’ve brought you Banuja Sivarasah and Nirthiha Sithiravadivel! 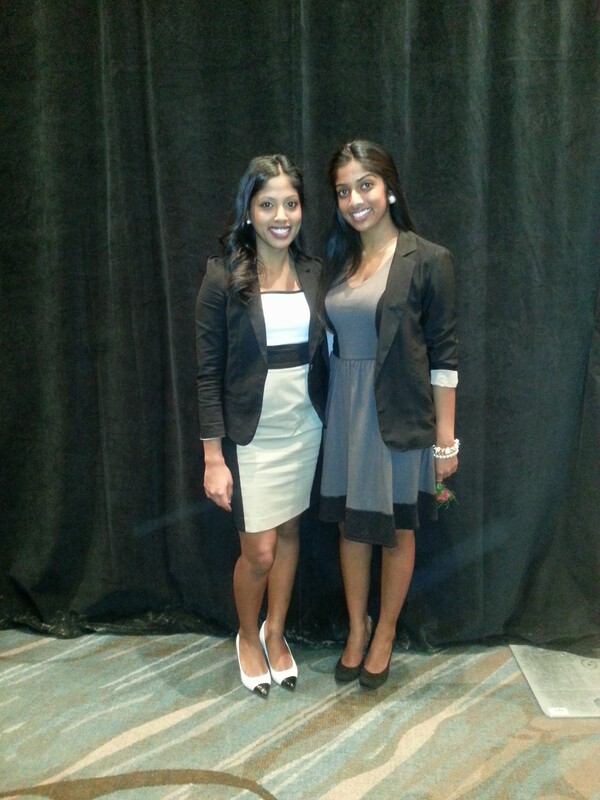 Banuja Sivarasah graduated with a Bachelor of Accounting and Financial Management from the University of Waterloo. She has completed her CA, CPA designation and is currently a Senior Accountant at a mid-sized accounting firm. Outside of work and Your Sarista, she enjoys all types of dancing, reading books, and travelling! Banu is the operations and logistics behind Your Sarista. Nirthiha Sithiravadivel graduated with a Bachelors of Business Administration from the Schulich School of Business. She has completed her CA, CPA and is currently a Financial Analyst at Rogers Communications Inc. She is very passionate about Bharathanatyam, plays the piano and loves to travel the world! Nirthy is the creative mind behind Your Sarista. Kanchipuram or Silk Sari? Silk Sari – classic! Inspiration? Indra Nooyi and Marissa Mayer. Both of these women are CEOs in their respective industries who have inspired us that anything is possible. 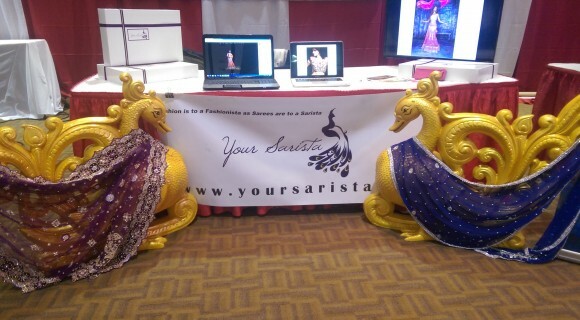 CTYA Blogs: Tell us about your business Your Sarista! We founded Your Sarista to provide a simple solution for all the Saristas, who love wearing sarees but never the same one twice! We love receiving overwhelming responses about our collections from customers who get comfort in knowing that we hand-pick all the items in our collection! Being in the same age group as most of our customers, we are able to serve our own market and identify what the Saristas in our age group find trendy in order to provide them with the best. I mean, how do we trust the aunties and uncles to know what the younger generation finds most trendy? Purchases – Your Sarista offers customers who want to buy sarees, lehengas and salwars the ease of shopping online and providing transparency in prices. We ourselves were sick and tired of the $800 saree store prices that would magically drop to $200 because of our grandparents who have mastered the art of haggling. Your Sarista strives to provide an enjoyable and easy online shopping experience for customers who value hand-picked collections, price fairness and transparency without the hassle of bargaining. 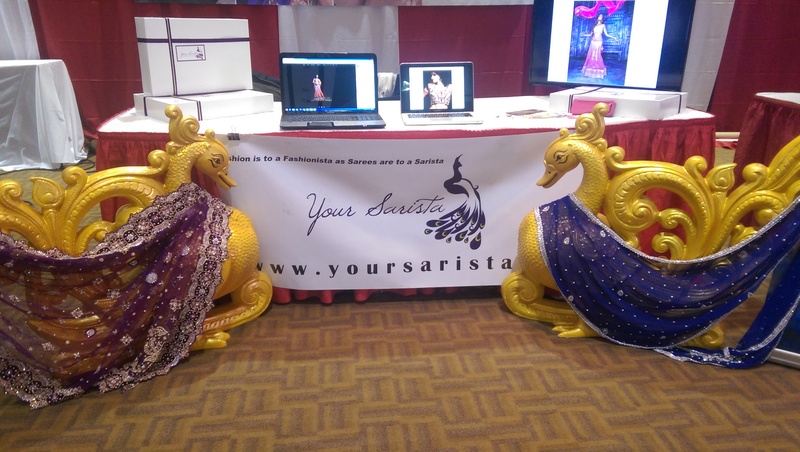 Rentals – Your Sarista introduced Saree Rentals for the Saristas who were tired of coughing up hundreds of dollars at saree shops only to find themselves wearing the saree once and then taking up even more valuable closet space. The idea of saree rentals is also well-taken by those guests such as coworkers and friends that are invited to weddings but are not of the South Asian ethnicity. Would you expect your bestie/coworker to pay an arm and a leg for a wedding outfit they will only wear once or would you rather have them rent an outfit for half the cost? CTYA Blogs: You are both university graduates who have completed their CPA/CA designations. How has your academic background empowered your move into starting your own business? Our passion for sarees and business have merged together beautifully with Your Sarista! Holding the CA,CPA designation has definitely enabled us to shake up the saree world, and make a difference to provide a solution for many other Saristas who share our passion. Our business degrees and the CA,CPA designation has helped steer us in the right direction with this venture. It truly feels very liberating and empowering when you are able to take what you have learned in your academic careers and apply it to something you love outside of your career. WIN! 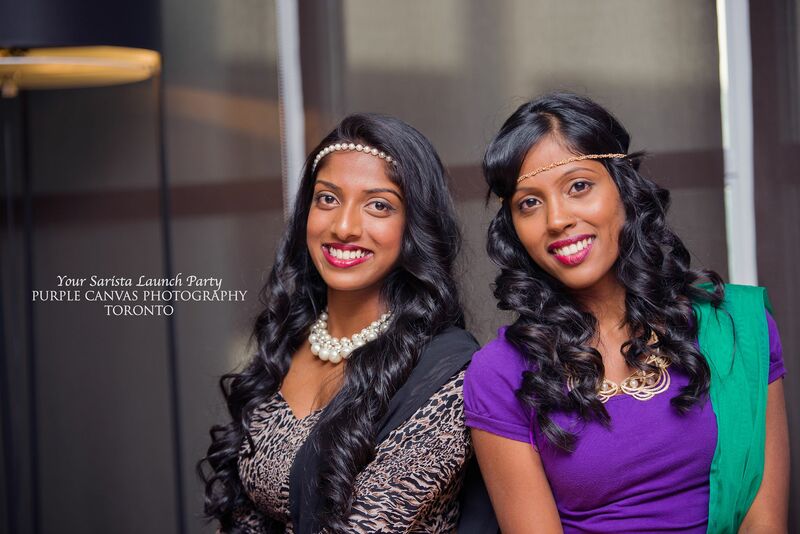 CTYA Blogs: Within the Tamil community, it is generally uncommon to see female entrepreneurs. Given this current state, what challenges have you faced? How did you overcome these challenges? It is definitely uncommon to see female entrepreneurs, but it’s great to see that changing! The biggest challenge we faced was at the very beginning of this venture. Everyone agreed that we had a great idea, and they too had thought of this idea before. However, many people did not think that the South Asian community was ready for this, let alone two 23 year old females would be capable of bringing the idea to life. As you can imagine, this was very demoralizing especially when our own risk averse families were advising their precious daughters to stick to corporate jobs solely. We started questioning our idea and our capabilities, but having been friends for over a decade now, we had each other. We found moral support in each other, and developed a go-getter attitude, realizing that it would be much more rewarding to show everyone who did not believe in us how it’s done rather than sit there trying to convince them that it could be done! CTYA Blogs: What will Your Sarista look like ten years from now? Ten years from now we hope to expand globally and change the saree shopping experience entirely. We hope to allow countries less populated with Saristas like South Africa and Norway to also purchase sarees with ease online. We are also confident that our community will become more open to the idea of online shopping. This will enable us to offer thousands of saree options just a click away for our customers that traditional brick and mortar stores cannot due to space limitations. Of course, only time will tell! In less than a year of launching, we have already come this far and we are definitely looking forward for the journey into the future, this time alongside all our Saristas! CTYA Blogs: How do you manage full-time jobs, a business, and the stress? Managing a full-time job and then making room to handle a full-scale business can be overwhelming but our passion and confidence in Your Sarista keeps us going every day that it doesn’t even feel like work! Finishing work at 5pm and then heading straight to our Your Sarista meetings till 10:30pm can be exhausting, but the feeling of having been able to help a customer find their perfect outfit and the continuous support we receive from our amazing customers is the fuel that keeps this Sarista fire burning! CTYA Blogs: If you were to start another business, what would it be? Surprisingly enough we have spoken about this before. We can’t tell you…just yet, but it would probably be something in the high-tech industry. CTYA Blogs: What advice do you have to youth interested in becoming entrepreneurs? “If you just work on stuff that you like and you’re passionate about, you don’t have to have a master plan with how things will play out.” – Mark Zuckerberg, founder of Facebook. From personal experience, we think this is the most important thing to take away. You don’t need to have a solution for everything right from the get go. The first time we made a sale is when we had just started looking into shipping options to deliver the saree. We could have waited to launch and spent the additional day or two researching shipping options before finalization, but we would have missed out on a very important sale! Hidden treasures! Tamil youth are just pockets of brilliance. Hard work is in our blood, and no matter what generation of Tamil youth we’re discussing, despite where in the world we are, Tamil youth are capable of achieving the best! CTYA Blogs: Anything else you’d like to add? We want to genuinely thank everyone who has been part of our journey thus far. We have received overwhelming support from our community and especially our Saristas who believed in us to give us a chance to see this dream come to life! Thank you for joining us today Banuja and Nirthiha! We wish you the best on all your future endeavours! To support and connect with the Your Sarista team, you can find them on yoursarista.ca, Facebook, and Instagram. For more information or to suggest a youth to interview, please feel free to email us at blogs@ctya.org! This entry was posted on Tuesday, March 10th, 2015 at 12:30 pm	and is filed under Thulirkal. You can follow any responses to this entry through the RSS 2.0 feed. You can leave a response, or trackback from your own site.